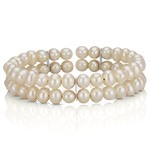 Tom’s Favorites Make Holiday Gifting Easy - Shane Co.
A perfect gift is something that reflects a woman’s personal style. That’s why I’m thrilled about our holiday selection. 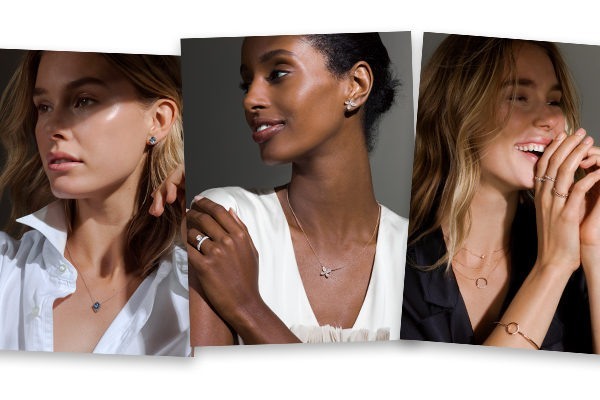 We have spectacular gifts for every woman’s style, exclusive jewelry — in every price range — designed by our own team of designers. Our holiday gifts are beautifully boxed, ready to give and made to last a lifetime. I selected three of my favorite gifts. Each one has a fashionable look and can be worn every day. 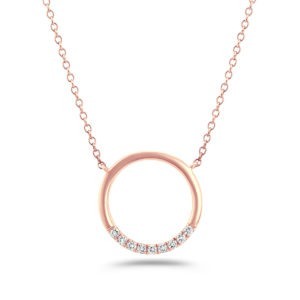 rose gold, can be layered with other jewelry, and worn with a formal outfit as well as a more casual look. This trend-forward necklace is a great gift for the woman who loves to wear color. 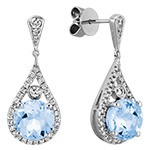 The five white sapphires draw your eye to the center of attention — a large cushion cut London blue topaz. This stone has a rich, vibrant hue. 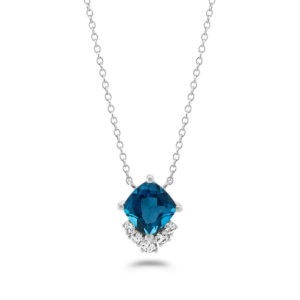 We have this same style with other colorful gemstones, and we created earrings to match this popular necklace. All of our gemstones are natural — not lab-created — so your gift will have lasting value. 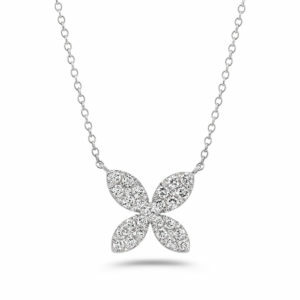 Floral-themed jewelry is trending, and this beautiful diamond necklace suits any woman with an elegant and feminine personal style. The four petals boast 61 brilliant diamonds. Complete the botanical-themed look with matching diamond floral earrings. 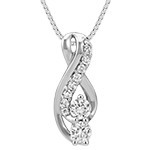 With the unparalleled sparkle of our diamonds and the chic design of this necklace, this gift will be a win. 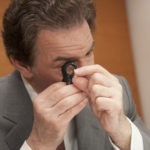 Tom Shane is the owner of Shane Co., the largest family-owned retail jeweler in the United States. For four decades Tom has traveled the globe buying gemstones, including diamonds, rubies, sapphires, and pearls directly from the gem cutters for Shane Co. He is the third of four generations of the Shane family to work in the jewelry business. Tom started learning the jewelry business at his father's side at age 12, assisting his father in his store. 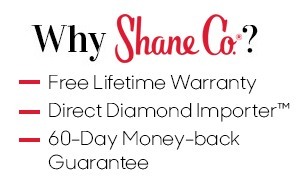 Tom opened his own jewelry business in 1971, establishing Shane Co. He was 22 years old at the time. In 1996 Tom was knighted into the order of Leopold II in the Kingdom of Belgium in recognition of his lifelong achievement in the diamond business. Tom currently resides in Colorado, but spends a great deal of his time abroad purchasing gemstones for Shane Co. You might know his voice from the Shane Co. radio ads which are the longest running radio ad campaign in history, or you might have caught him at a party with other Colorado celebrities in an episode of South Park.